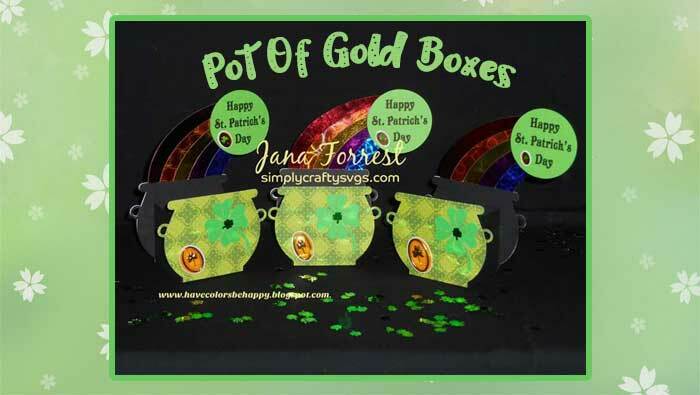 Jana made a few of the Pot O Gold Treat Boxes for St. Patrick’s Day. 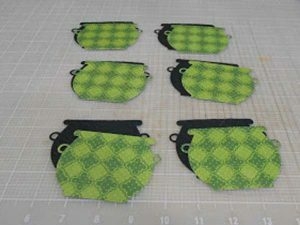 Click here for in process photos of her creations on her blog. 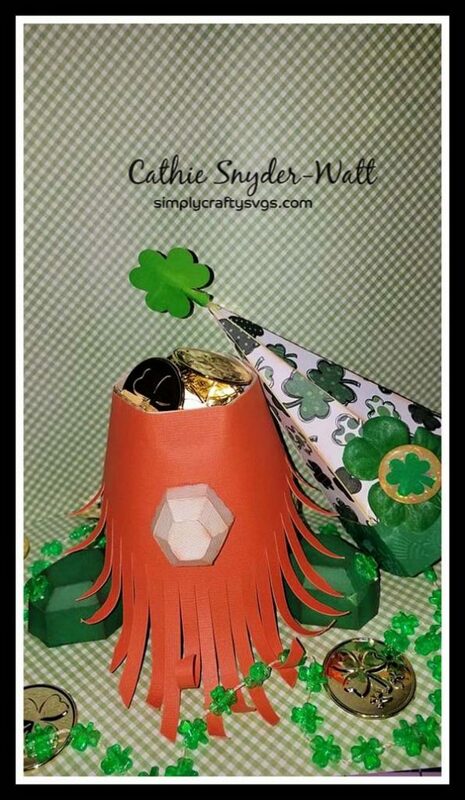 Today, I am sad to say this is Cathie’s last day with our Design Team. 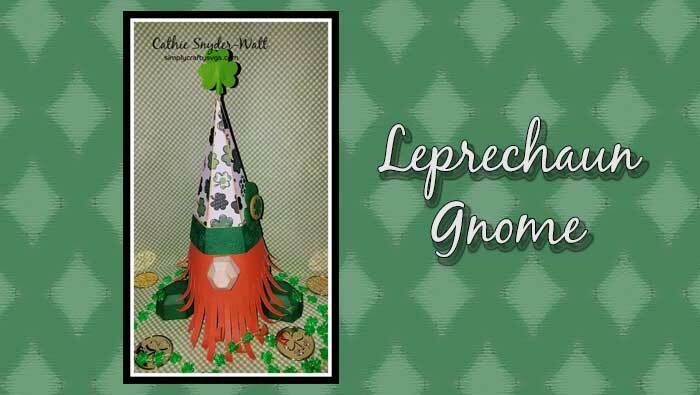 What a way to end…with a cute Leprechaun Gnome for St. Patrick’s Day! 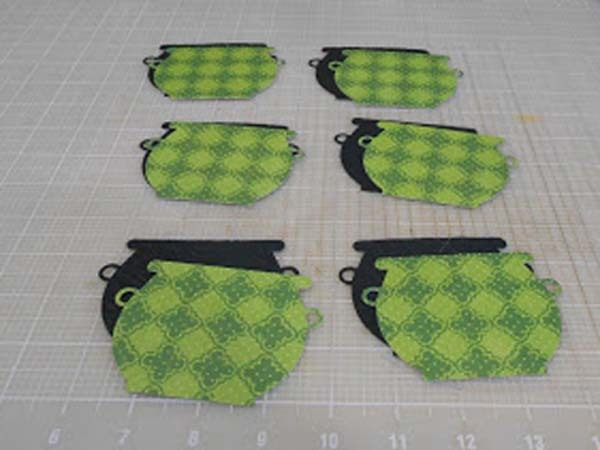 That is the fun things about the Gnome SVG file…it can be used for any occasion. Click here to read about it on her blog! 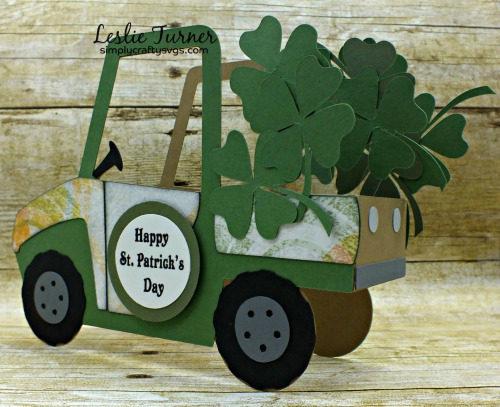 This is such a cute St. Patrick’s Day version of the Side by Side Box Card designed by Leslie! 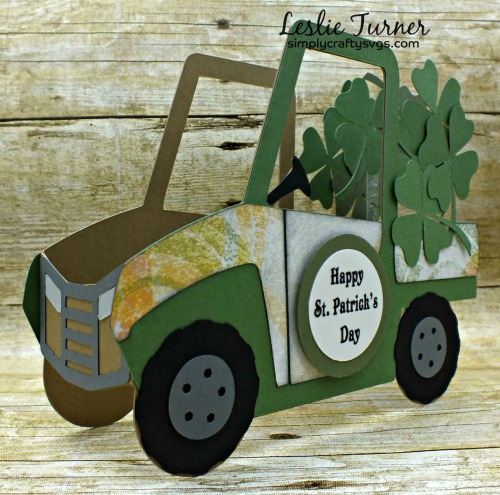 Instead of using one of the existing file inserts, she added her own to make this unique St. Patrick’s Day card. 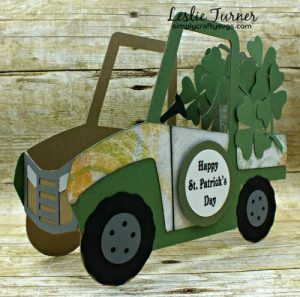 I know a few that would love to get this UTV box card. 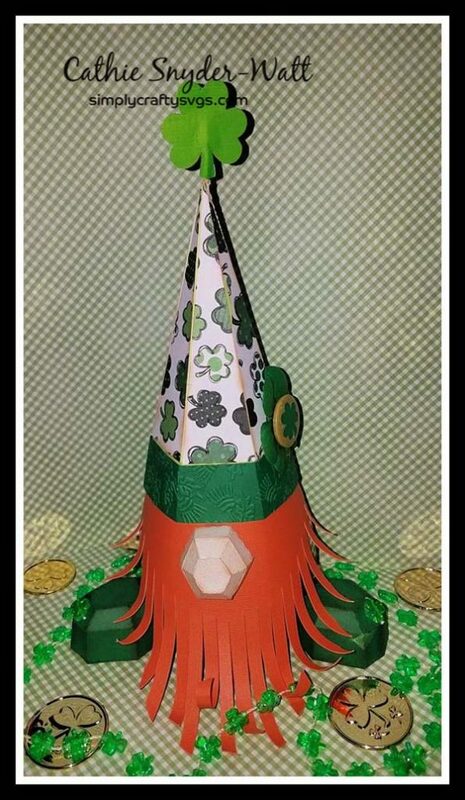 It would be fun for a party decor too! 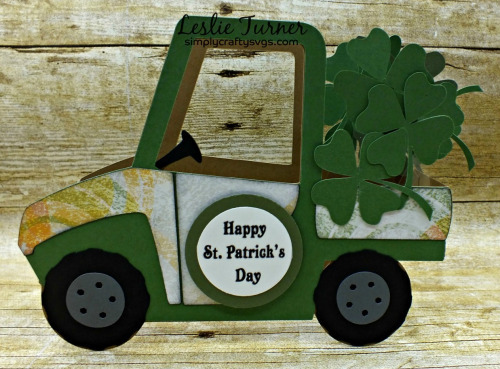 If you want to learn more, head on over to Leslie’s blog!